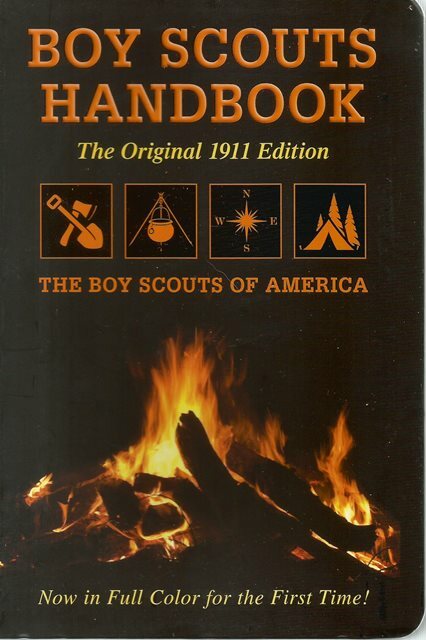 Boy Scouts Handbook by Boy Scouts of America is a facsimile reprint of the Boy Scouts Handbook of the original 1911 edition. 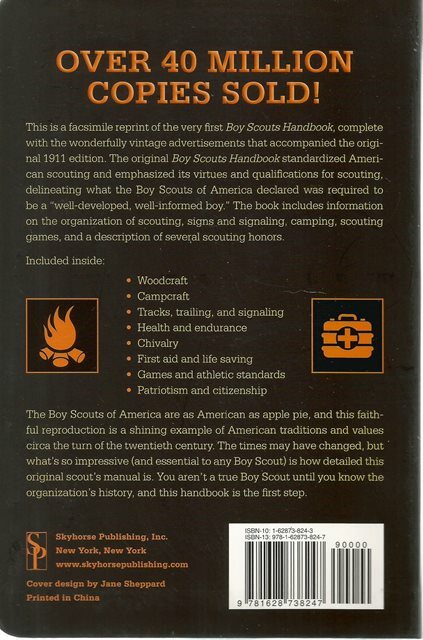 The handbook standardized American scouting and emphasized the virtues and qualifications for scouting, explaining the information, skills, and principles that the American Boy Scouts deemed necessary to becoming a "well-developed, well-informed boy." The book discusses the organization of scouting, signs and signalling, camping, scouting games, and a description of several scouting honours. It presents—in colour for the first time—the more than 200 original black and white figures and illustrations, including the vintage advertisements that accompanied the 1911 edition (Brownie cameras, Steero bouillon cubes, and Remington rifles).